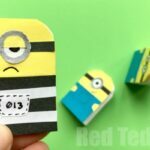 It is DIY Mini Notebook Time again! 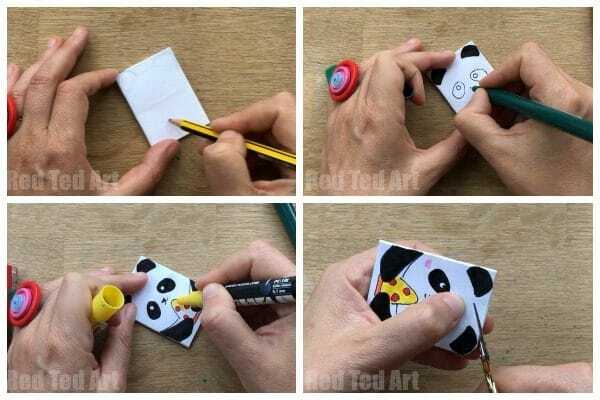 As we approach Back To School and kids are excited about fresh new DIY School Supplies, I thought you would enjoy this DIY Panda Mini Notebook from one sheet of paper. Yep. No glue and only one sheet of paper (any size will do). 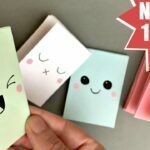 In fact, you can make TWO mini notebooks out of one sheet.. and you can easily exchange the pages for fresh ones if you need to. 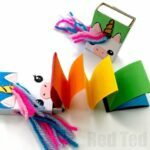 We designed this DIY Notebook as a Panda… but you can easily make it into an adorable DIY Pandacorn Notebook too (my daughter was all over this Pandacorn!! Ha). But you will need the tiniest bit of glue for that! 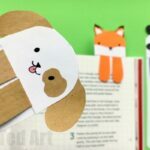 If you love Panda Crafts as much as we do.. take a peak at this super duper cute DIY Panda Corner Bookmark! one sheet of paper (printer paper) – it can be A4 for European dimensions or the have the international dimensions.. it just means your final booklet will be a SLIGHTLY different size. But just as nice! Yep.. that is it! Nice and easy classic “at home” stationery items. If you want to add Pandacorn horn, you can glue one on at the end!! We have a great little how to make a notebook video for you or follow the step by step instructions below! 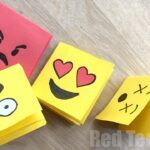 Begin by cutting paper down into 4 pieces (will make two mini notebooks!). 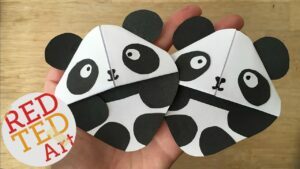 Fold the paper in half length wise and cut. 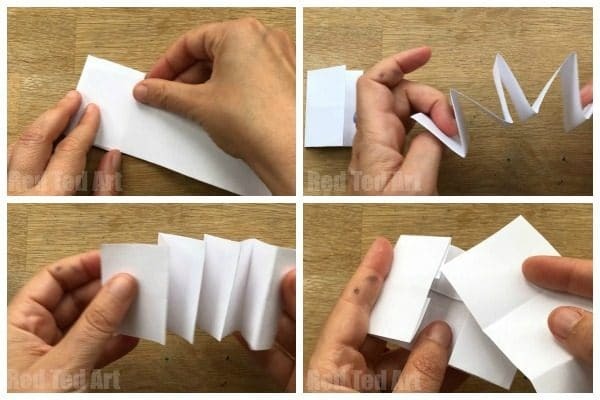 Then fold one of the halves again length wise and cut to create a long strip – this will be your DIY Mini Notebook’s pages. 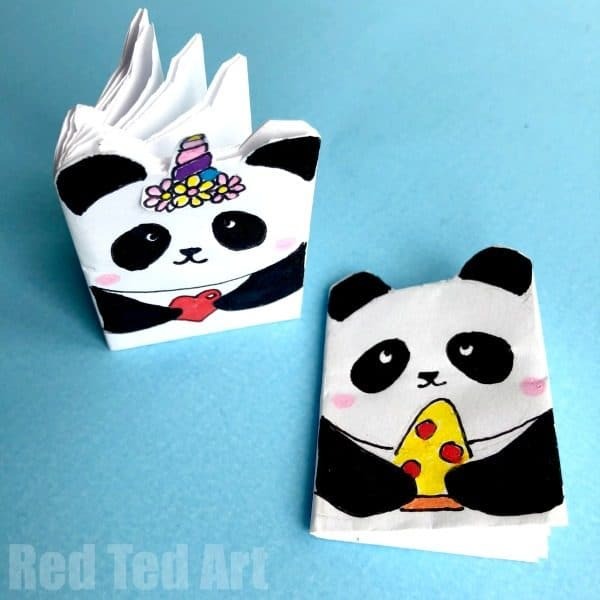 Take the other half and fold width wise and cut – this will make one of your Panda Notebook’s covers! 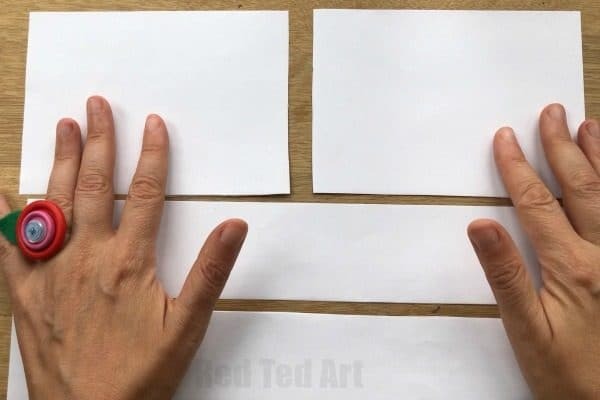 Fold the notebook cover paper length wise in half and make a LIGHT crease (not to strong, you just need it as a guide). Take the one long edge and fold towards the centre – leaving approx a 0.5cm gap. Repeat with the other long edge. Open. Fold in the sides – again leaving a 0.5 cm edge. You have now created a type of “book sleeve”. Your long strips of paper need to concertinered into pages. 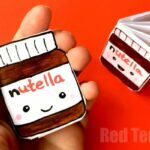 Make you the strip of paper is just smaller than your notebook cover, so it fits snuggle inside. If need be trim a little. Insert the pages into the notebook sleeve. Your BASIC DIY Mini Notebook is finished. Time to decorate! 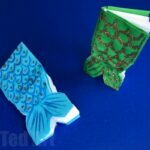 We have made these DIY Mini Notebooks many times before.. and you can decorate them in whatever way you wish.. from Nutella Notebook, Minion Mini Notebook, Pokemon notebooks and Mermaid Notebooks! Today we will decorate them as Panda‘s and Pandacorns!! 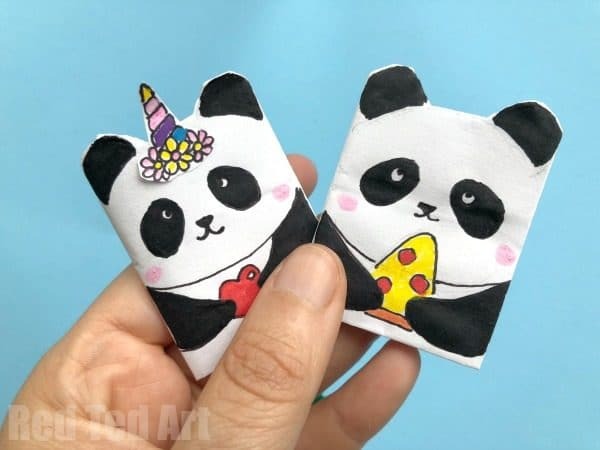 Lightly sketch out your Panda’s features in pencil – keep the ears as close to the corners of your Panda Notebook as possible! Then go over your sketch in black pen and colours for the details. 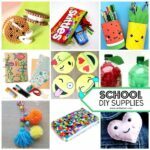 Carefully rub out any pencil marks. Finally, trim around the ears (if you wish!). 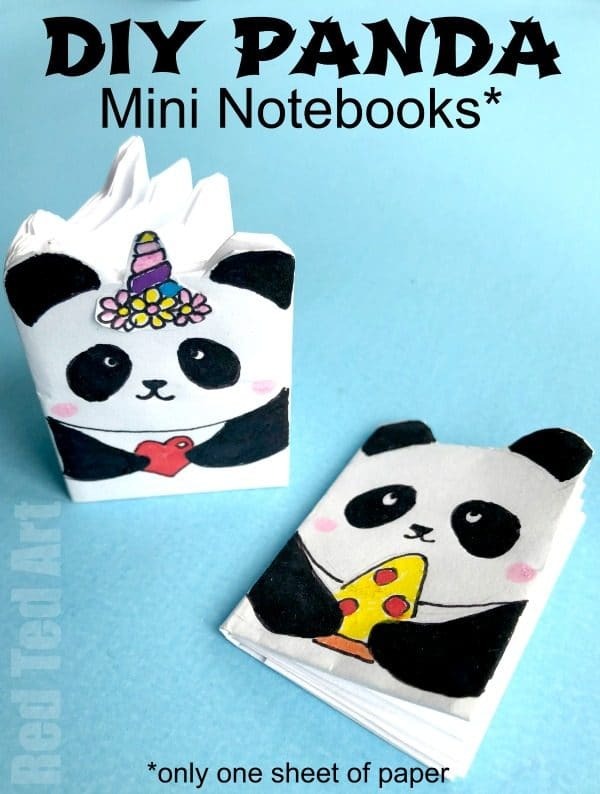 Your Panda Mini Notebooks from one sheet of paper are finished! ENJOY!! !